"Nintendo and Chart Track have confirmed to GamesIndustry.biz that the Wii has become the fastest-selling home console ever, with 105,000 systems already sold. 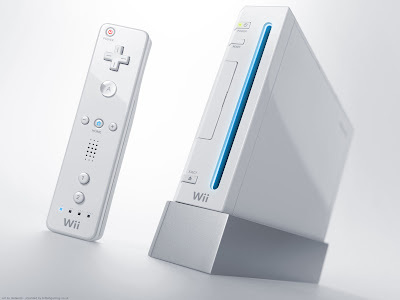 Last week, Nintendo announced that consumers snapped up 50,000 Wii units within 12 hours of the console going on sale. The tills continued to ring over the next two days, making the Wii the first console to sell more than 100,000 units during its opening weekend. In contrast, the GameCube saw sales of 52,000 consoles in the first weekend after launch, while the figure for Xbox 360 stood at 70,000 units. Of the 14 software titles launching with the Wii, six made it into the all-formats top 40 - including Zelda, which debuted at number 5. Other popular titles included Wii Play and Ubisoft's Red Steel. It was also a great week for Nintendo's handheld, with around 110,000 DS units sold, and 14 games in the top 40." Worldwide sales are already looking to be much better than Gamecube. Great news for Nintendo. For all those people who keep saying the Wii is a beefed up gamecube hahahahaha. I laugh in your faces. It looks like the Wii is far form even being close to anything like the gamecube. Numbers talk. This to me is just another sign of Nintendo taking their throne back once again.